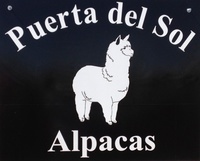 Puerta del Sol Alpacas is an alpaca farm located in Socorro, New Mexico owned by David Hunter & Kathy Richardson. From Socorro: Exit 147 take NM-1 S (west of the car wash) 3.8 mi. * Turn left to stay on NM-1 S at the overpass go another 3.0 mi. * Turn left onto Windy's Farm Road. From San Antonio: Head north on Hwy 1 for 2.9 mi. and then turn right onto Windy's Farm Road. 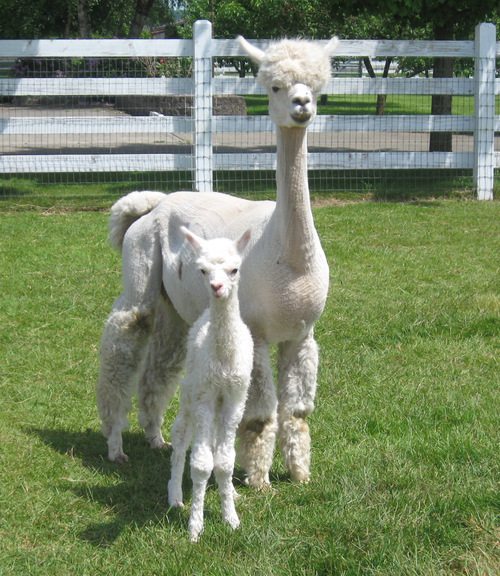 We are on the NE corner, just drive back toward the barn where our alpacas are waiting to meet you. I first fell in love with alpacas after visiting Alpacas by the Sea in Montara, CA at the beginning of this century. At the time I was teaching third grade at Fairwood Elementary School in Sunnyvale, CA and couldn’t imagine purchasing any of these majestic animals. However, my dream never died. I’m still teaching (fourth grade at the American International School of Vienna), but I’ve also continued to visit other alpaca breeders and learn as much as I can by reading books and searching the Internet. Many may say that in today’s economy it isn’t a good time to start a new venture, but I’ve come to realize that it has worked to my advantage. Last summer I was finally able to purchase some land to start my own alpaca farm/ranch. 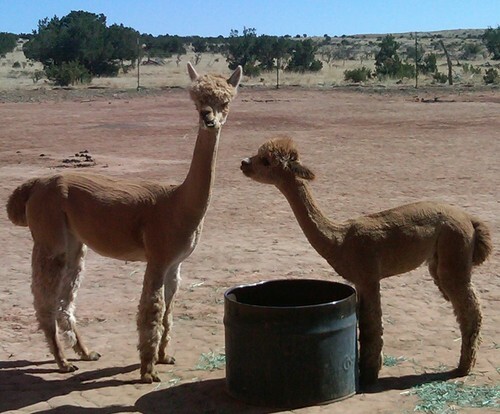 Before the end of the year I had bought my first alpaca, Josey Wales the Outlaw, a male cria that I had also fallen in love with after visiting Adobe Farms Alpacas in Ancho, NM. This past spring, during our “Spring Break”, I discovered Openherd and got a little over-zealous. I ended up with three bred females to add to my herd of one! What was I doing buying alpacas while living in Europe? To top it off all three dams were in Washington State and would have to be transported to New Mexico. Since then the learning curve has escalated, thank goodness for summer break. 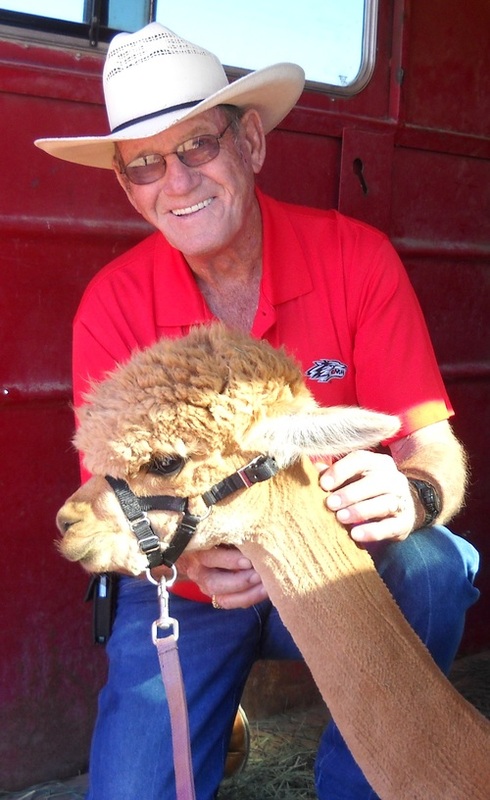 Perhaps it is because of the economy today that there is a greater variation in alpaca prices. Perhaps it is because the industry is evolving, creating niche opportunities for people like me that dream. Whatever the case, I find this a great time to get into the alpaca business. All the people that I have come in contact with have been amazing. Everyone is willing to help newcomers as it helps the industry as a whole. 25% down with equal payments for 12 months on purchases over $1,500 with no interest. Buyer pays for CVI, transport and transfer.